Have you ever had that moment in life where you push all of your chips in, you gamble on it all and hope it pays off? Well, it is tempting to do in the shooting world. This past weekend, I reached a milestone in my shooting career winning my 60thcareer major win at the 2019 Georgia State Steel Championship. There were competitors from all over the US from at least 10 states. At 321 entries, it will undoubtedly be one of the largest, if not the largest, level II Steel Challenge match in the country this year. It was not long ago shooting below a 70 second time in any division was rare and a feat to be seen. At this match, there were 7 entries shot under this watermark. As we entered the final day, a 66.25 was posted in the Rimfire Rifle Open division. We have seen some times such as this in the past, but for a level II match it has been scarce to see this low of a time. This time put me immediately into a defensive position, and I started questioning how I was ever going to shoot anything close to this time. I have never shot below a 67 at a major match and how could I possibly make a run at it? I just put in a new trigger, from Powder River Precision, in my Tactical Solutions Xring and did some light testing the week before. I had to come up with a game plan. I could not remember where I squadded to start the last session of the match, and when I found out it was Smoke and Hope I was concerned. I was concerned that I was either going to have a shot at a great match or I was going to throw caution to the wind and let it all hang out. After all, I felt more prepared this match than any other in the past by shooting six of the last seven days. As I arrived to the shooters box, I had a level of uneasiness I have not felt in a while. Then suddenly a calming sensation came over me as the ‘Make Ready’ command was given. I took my dry sight picture going through the stage fast but yet controlled. I saw my Vortex Razor on every plate with a slight jerking motion of the optic as I often do when I push my limits of how fast I can shoot. I vaguely remember the buzzer going off and the final shot went off, and it was quiet. I then heard the time: 1.22. I then realized I was in the zone, and my subconscious took over. I can’t even recall seeing the dot on any one of the plates, but I did see a shot in the middle of the stop plate. I proceeded to change mags and prepare for my next string of fire. The buzzer went off again, but I forced the stop plate. I cannot recall if there was one or two make-up shots on the stop plate and a 1.64 was called out. I could hear some chatter from the gallery. I quickly blocked out the background noise and prepared for my third string. As I did, I reminded myself to let my training set in and to let it go—here goes everything. As I pulled the last shot, my audible senses erupted and I heard a 1.20 and people talking in the background again. A small adrenaline rush came over me, and I allowed it to subside and told myself. I needed to do this one more time to have the fastest stage time I have ever shot. Everything became very quiet… a familiar RO voice said ‘are you ready’ and then ‘standby’. At this moment it felt as though everything around me disappeared, and the only thing I could hear was in my own mind. I heard the ‘b’ in beep of the timer, and I was on the first plate. It was over. The sound rushed back and a 1.19 was called out. I was confident I did not stop on any plate. I don’t recall seeing the stop plate, but I did see a 4thmark on the plate at 2 O’Clock where half of the .22 ELEY bullet had made a distinct impact. I had done it, I shot 5.25 on Smoke and Hope! As a good friend once told me, in order to achieve results you have never seen, you have to do things you have never have done. I have never taken this type of risk before at a major match. Not sure I will again, but sometimes you have to get outside your comfort zone and say ‘Here goes everything..’ This time it resulted in a personal best and one of the fastest times ever shot in the Rimfire Rifle Open division of a major match 65.69. Sponsorship to Brand Ambassador; insight from both sides of the fence. As a shooter, sponsorship is one of the most sought after accomplishments in the shooting sports. There is a sense of pride, legitimacy, and, if you are fortunate, a close-knit shooting family. Some people look for sponsorship from companies for ‘free stuff’. This is the complete wrong approach to working with a company. Product and goods and services are a business cost to an organization. Marketing personnel look to sponsor matches and people to increase awareness of their product offering and increase sales. Occasionally, there are sponsorship decisions made to enhance company image or because they want to give back to the community so future generations can share and love our second amendment rights. Where do these relationships go wrong? There are no real surprises here: just like any relationship, unmet expectations and lack of follow-through are usually at the core of the root cause. This is why you see more and more contracts in the shooting industry between companies and shooters. Unfortunately, these individuals make it more challenging for shooters who do fulfill commitment to obtain additional sponsorship. Once bitten twice shy. In my opinion, this is why we have seen the jargon change from sponsorship – implying a one way street to Brand Ambassador – implying you are a reflection of the company and ‘work’ for them in exchange for discounted product, free product, and possibly include other forms of compensation. Let’s first look at Brand Ambassadors from a company perspective. The reality is the majority of well known Brand Ambassadors in the sport are the best shooters in the world. 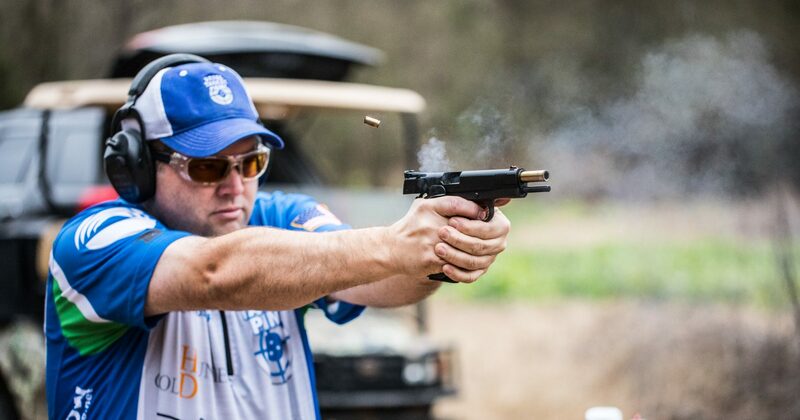 If you look at the top athletes in USPSA, most are company employees. If you attend a level II match, you will see 75-85% of the competitors with a jersey on with logos from many companies. The majority of these companies are providing discounts or free product to these shooters. Some will say that discounts are not really giving money to a shooter, but they certainly are. The shooter would have purchased the equipment anyway the majority of the time. At a minimum, the discount erodes margin from the bottom line of the organization. What market is the person in and do I have representation there already? Are they established in the sport? How many matches do they shoot, both local and major matches? What is their reputation in the sport? What is their social media presence? What platforms? Followers? Engagement? Reach? What have they done for other companies? How do they give back? And most importantly, are they approachable, relatable, and able to talk about the product? The last three are the most important in the industry today. As a company, you have to have a person who manages the team. This person needs to help set expectations, offer direction, and help answer questions. If you do not have expectations for your Brand Ambassadors, how do you ever expect them to meet them? If you need content, ask! We are in a digital age and everyone has a phone with a camera. This is the content your customers want to see. It is one thing to hear the ‘corporate’ opinion, but customers want to hear from people who are actually applying your product or service. The sport is filled with people from all different types of careers and employment. Never assume your Ambassadors know what to do or how to handle questions about your product. This is your responsibility to train them. As with any company, the people are the greatest asset! Train them to be the best! If you have a great product, you need people to talk about it with people at the range, trade shows, etc. People in sales have been using the next technique for years… let people try it! The last point I would like to make, based on my experience, is streamline your method of communication. The best resource I have found is to create a “group” on social media for your team and share important updates, product launches, recognition. This helps create community, and it can help leverage your message. Recently, I created a video which would have netted 250-500 views, but leveraging the team brought in over 4k views through sharing on their page(s)! Now, let’s talk a bit about the shooter. Just don’t take any sponsorship, if you don’t believe in the product, you will never be able to share it’s benefits to others. If you don’t believe in the product, how will you be able to develop a relationship with the company? Don’t try to make it work for the sake of wearing a logo; those relationships don’t seem to work out in the long run. The company you are working with has laid out some expectations. Your goal as a shooter is not to do just the minimum, it’s to bring value! If you are doing something with another company which yields results, try it! Mention it! Do it! Outside of portraying a message to the fellow shooters, tell the company what people are saying. You owe it to the organization to give your all and help it grow. Winning by itself is not enough anymore. You need to stand out. I met with a company at Shot Show, and we talked about how ineffective it is to wear a logo on a jersey. They find zero value in it. They have a product which is crossing many disciplines. Wearing a logo at a local match is not going to drive sales: social media is. There is not a playbook for social media. What I will offer is even though you don’t have all the answers, don’t be afraid to put yourself out there. Sometime you just have to kick the ball down the field. See what your peers are doing and see what works. You will find your way. If you are not out on Facebook or Instagram, I would certainly start there. As a company, what are you going to do different? As a Brand Ambassador, what are you going to do different? If you don’t change anything, nothing will change. My intent over the past several minutes was to spur thought and initiate dialogue which will hopefully lead to action. When I was five years old we went over to a friend’s house who had this cool and amazing gaming system, it was an Atari 2600! I still remember playing Frogger and Pitfall! I did not know it would be a classic, but Pac-Man was a personal favorite. The challenge of the game was stopping, going, and changing direction quickly. It seemed simple in nature, but it was very difficult to get more than a couple levels deep! For the sake of this discussion, there are really only 3 different shots in Steel Challenge; “Burn it Down”, “Easy Now”, and “Focus Shot”. The Burn it Down targets are the four 18X24″ plates on Smoke and Hope, the front targets on Roundabout, the second plate on Accelerator, etc. The “Easy Now” shots are are the fourth plate on Speed Option, fourth plate on Accelerator, the back plates on Showdown, etc. And finally the “Focus Shots” are plates such as the 12″ plates on Outer Limits, plate #3 on Accelerator, plate #4 on Five To Go, etc. As a shooter, it is important to understand the sight picture required to get your hits on all there different shot types. Each shot needs something just a little bit different. Refresh yourself on previous blog posts where I discuss Rubin’s Vase, Shooting on the Edge, and Speed vs. Accuracy. With this being said lets talk about one of the least talked about elements of our action shooting, motion in between shots. While training a shooter this week I did not do nearly as good of a job as I could have articulating the importance of the motion in between shots. We were practicing Speed Option. This stage has all three types of shots and they are slightly exaggerated with plate #2 really being a “Focus Shot”. Despite being a “Focus Shot” many of us want to shoot it as a “Take it Easy” shot and it is not. While participating at many matches around the country, this is probably the number 1 plate missed in all of Steel Challenge. There are some top contenders! Real speed on the Steel Challenge stage Speed Option comes from starting the gun fast, transitioning the gun fast, and stopping the gun fast. If you are able to shoot all three types of shots equally, you have to work on moving the gun real fast! The other key to a stage such as Speed Option is not to let panic set in when you approach the stage because of the largest transitions. It was eleven short years ago when my wife was pregnant with our first daughter. This was one of the happiest and yet anxious times of my life. I remember looking in the mirror at the hospital as my wife’s contractions were getting closer and closer together and I said to myself, “don’t panic and it will be OK!” It was not long after, I met my amazing daughter for the first time. The experience was crystal clear and time did not quite stand still, but it was very clear and all of my senses were accentuated. As I fast forward to last weekend, I was training a shooter and we discussed the ‘Panic’ that can occur when shooting. There is an insatiable need to feel like you need to shoot faster. When this happens, you are shooting past your EDGE and the fundamentals break down. What often times happens is you start to miss your shots and your string of fire ends up being a lot slower than you would like it to be and far short of your potential. For me, the way I battle this phenomenon is to start off with a string of fire well within my Edge and then I dial it up from there. All matches are not the same. Your level of comfort is not the same. The conditions are not the same. This means should not necessarily be able to shoot your 100% times all of the time. Evaluate what level you are shooting at and dial it in so the panic never sets in. You will always shoot better and faster when you are executing the fundamentals well! I remember the first time I saw the Rubin Vase in Psychology class. If you are not familiar with Edgar Rubin, the Danish psychologist, and what is commonly called the Rubin Vase or Rubin Face, below is a picture you have probably seen before. At first glance, do you see the vase or do you see the two faces? For me, I see the black vase first and then I adjust my focus to the side of the object and then I can clearly see the two white faces almost simultaneously. What I find interesting is I can only maintain one of these visual images at one time. Meaning, I cannot see both the faces and the vase at the same time. Despite my best efforts, I can’t focus on them at the same time. I was thinking about Rubin’s Vase two weeks ago while training a fellow competitor and we were discussing Smoke and Hope. What I have been doing is maintaining a target focus prior to the first shot, and as the buzzer went off my mind would switch to a sight focus whereas when I saw the sight on the white background I would pull the trigger. I would then revert back to a target focus for the next three shots until I arrived at the stop plate. As similar to the first shot, I would see the target, see the sight and as the sight landed on the white background I would pull the trigger. When I would miss the stop plate, I would forget to change my focus back to the sight in hopes the gun would be there. In the example of Rubin’s Vase I would see the faces, then the timer would go off, I would see the vase appear with the white faces in the background, pull the trigger, look at the white faces three more times while pulling the trigger, and then finally see the final white face and when the Vase arrived I would pull the trigger. What I decided to do is to look at the white faces, look at the vase, pull the trigger and then for the rest of the shots focus on the vase and when there was a white face background pull the trigger for the remaining targets. I saw the sights on every single shot of every single string of fire. This sight focus made a marked improvement in my time. I was able to shoot my fastest stage time ever in Steel Challenge after hitting a plateau on the fast stages. The next time you are out on the range, remember Rubin’s Vase and make sure you are focusing on the ‘Right’ thing at the ‘Right’ time and watch your times drop! Being able to be a Shot Caller or able to call your shot is critical to any action or speed shooting discipline. We have discussed in the past your need to be accurate in order to go fast. You also need to be able to self-diagnose where you are shooting and if you miss, why. One of these ways is to call your shot or determine where your shot is going. The way to do this is to see your sights when the trigger breaks. There are a lot of reasons why this is tough to do. For me, I still have a tendency to blink my eyes when the firing pin hits the case/primer. I have noticed this lately as I have been experimenting with shooting my centerfire open gun. One of my biggest challenges as a student was always “When am I going to use this in the real world?”. So, let me share with you a practical application of Shot Calling. I was recently working with a student on this exact topic with their Rimfire Rifle Open gun and they were blazing the Steel Challenge Stage Showdown. We then transitioned to their Rimfire Pistol Open gun. They immediately were having a tough time on the back two 18”x24” plates out at 25 yards. I asked them where they were calling their shot and they stated the middle of the plate but in the top third. The tough part was they were missing the plate. As a coach I was not sure if they truly were not calling the shots correctly or if there was an equipment issue. This happened for several strings of fire intermittently hitting the back plates. I told them to stop and ‘bullseye’ two shots on the back left plate, plate #1 in the center of the plate. Both shots were hits, but they were 1” from the top. I then asked to shoot the gun with similar results. They sighted their gun in at 10 yards to be just above the middle of the plate. We made some adjustments with his pistol and shots were in the center of the back plate and .5” low on the 10” plate. If they were not able to call their shot, they may have thought it was them and not their equipment. The other issue I have as a shooter is I tend to be more target focused instead of sight focused when the buzzer goes off. I know, we should start a support group because I don’t think I am alone. Remember, every shot needs something different. A close shot, say 12” plate at 10 yards you can be more target focused and speed onto the next shot. A 10” plate at 18 yards requires a sight focus shot. By working on calling your shot you will do better at hitting ‘tougher’ targets at distance. Not sure who said it, but you need to be able to shoot accurately to shoot fast. This is very true in speed shooting! One other insight I have to share.. I find my ability to call my shots degrades over time when I don’t shoot or practice. This is why I recommend, even if you are on a tight budget, to shoot at least once a week or twice a week. It keeps your skills you have worked so hard on, sharp! It’s not always easy being in a position to make a decision to ‘put yourself out there’. Whether you are in your personal life or professional life, some of the best and fulfilling experiences is where I went for it. After surveying the content available, Jeff Jones and I agreed to put ourselves out there and start a Podcast. So here we go!! The intended audience of the Podcast are business owners, competitive shooters and family in the shooting sports. These shooting sports span Steel Challenge, Rimfire Challenge, USPSA, SASP, etc. We plan to bring industry news to the community. We will talk about relevant issues in the shooting sports and share our joint perspective on the ‘now’. Along the way we will share tips and tricks to help make you a better shooter. In doing some research, we found podcasting allows the listener to retain up to 3X the amount of information by listening instead of reading. The other good part about podcasting is you can listen at your leisure. We have researched and have published our podcast on iTunes as well as SoundCloud. If you haven’t already, join us on this journey. In the first episode, Jeff Jones and I interview Larry Joe Steeley Jr, the creator of Steel Target Paint. If you have suggestions, please reach out to Jeff or myself. We have an extensive list of business owners, industry influencers, and competitive shooters lined up! There will be exclusive announcements made on the podcast. Stay tuned! I can’t do this anymore..
Life has a way of trying us with adversity and moments of self-doubt. During my undergraduate college years I was working a minimum of 40 hours a week and taking a full load of classes to pay for my education. There were many short nights and questionable choices of what was a priority; Was it work? Was it school? Was it my social life? There was just not enough time in the day to do everything so I had to take a step back and focus on the ‘Main Things’. What was going to be important to prepare me for the future? I decided to focus on my studies and the job which was affording me the opportunity of a college education. It does not mean it was easy listening to my friends talk about the great party which happened over the weekend. It was tough at a young age to make mature decisions to give me a fighting chance at what I wanted in life. Over the course of four years, self-doubt was abundant especially not knowing if my conviction was going to truly pay off. Shortly after I graduated with my four year degree, I landed a job that would shape my professional success for the next two decades to come. It did all work out. I share this glimmer of insight with you because if you truly care about progressing as a shooter, you will encounter these moments of doubt. There will be times at the range, maybe at a practice session or a major match where things are not doing your way and you will say “I can’t do this anymore.” During these times it is important to remember why you started shooting in the first place. Why do you travel to matches? Why do you want to get better? For me, I stay grounded knowing I am doing this because it is a stress reliever and the social side of the sport is very fulfilling. It also invigorates my competitive spirit! When I started this journey two short years ago I promised my wife one thing: if it is not fun anymore, I will stop. Every day at the range may not be filled with ‘fun’ in the endless pursuit to be one of the best. Outside of my passion for the 2nd Amendment, the most rewarding of times is when I can help a fellow shooter, help a junior shooter, being able to give back, and when someone shares that I have helped them. At the end of the day, you have to make sure the Main Things in your life are in order and hopefully it leaves some room to pursue something you love. Not everyone will always get it. There are people and situations that will try to take you down and cast self-doubt. A good friend of mine shared some advice with me recently in my professional life. He said, “Just because someone else may try to blow out your candle will not make theirs burn any brighter.” Someone told me a long time ago, it does take more effort to lift someone up than it does to push them down. What side of the coin are you on? The next time you see a fellow shooter struggling at a stage or having equipment issues – lend them a hand. Some of the seemingly small efforts will make a long lasting impact on the people you have the opportunity to influence as well as the sport. With the utmost hope and optimism, see you out on the range soon! A: Yes. You need to have a USPSA # for you to be classified. A: Yes. You need to be a member to participate in these events. At this time, Level I matches do not require you to be a USPSA member, but it is highly encouraged . As of January 2019 Level II matches or higher require membership. Q: What is your opinion of the benefit of the Steel Challenge Classification System. A: There are two main benefits of the classification system. #1 – you can track your performance as a shooter. This helps in goal setting and the self-motivation process. #2- If the required number of entries is reached for recognition at Steel Challenge Matches there will be awards given. Tier 1 (club) minimum of 3 but I don’t know of any one that gives out awards at club matches. Tier 2 (state) minimum of 5 is recommended but Match Director can use any schedule they choose. Tier 3 (area or higher) 10 or more per class. A: A division is the type of equipment used in a match IE; Single Stack is a 1911 style gun with a set guidelines of magazine capacity, holster location etc. A Classification is the level of proficiency achieved in a division IE: GM = Grand Master and is the highest level of classification. Category is meant for special recognition such as “Junior” where competitors are under the age of 18. A: 4 stages need to be shot at a SCSA (Steel Challenge Shooting Association) affiliated event. Note: all 8 current Steel Challenge stages are ‘classifiers’ at even affiliated match. A: The classification system is updated once a week on Wednesday at 8AM EST . If you shot a match on Saturday and it is Tuesday, you need to be patient and wait a day. If it is the Wednesday after the match and you still have not seen your times updated, contact the match director. Some common setbacks include the payment to SCSA has not been made for the scores to be posted . If you see 0/0/00 by the match that means the activity fee hasn’t been paid yet and those results won’t be used for classification until they are. A: At a minimum the peak times are reviewed and evaluated once a year . If a change needs to be made, there is no current limitation on when these changes can be made. The initial classification system was implemented on July 4, 2016 and there have been (2) updates to peak times for certain divisions. These updates are typically after the World Speed Shooting Championship. There are two different ways to look at classification 1- what is my classification on a stage and 2- what is my total classification for the division? Let’s walk through the First Example; In order to find your classification on a stage you take your Peak Time for the division and Stage and divide it by the time you shot. In our example above you would take your time for Five to Go (12.15) and divide it by the Peak Time for the division and stage (11.00) to get your Classification % which would be (12.15/11.00) = 90.53%. This Classification % is between 85% and less than 95% is MASTER Classification. Pro Tip – The stages you have a lower classification on are the ones you should practice. In order to determine your total classification you take the sum of all of the times you shot and divide by the peak time for the stages. In our example the total Peak time for the six stages shot is 59.00 seconds as illustrated above. The total times I shot for the six stages in the match is 63.08 seconds. My classification for this match is (59.00/63.08) = 93.53%. This Classification % is between 85% and less than 95% is MASTER Classification. In order for you to be a GM you have to shoot 95% or greater of the peak time. The peak time is 76.00 seconds. 95% of 76.00 is actually (76*(1+(1-.95)) = 79.8 Seconds for a GM time. This means you need to drop 81.36 (current classification time) – GM time 79.8 = 1.56 seconds somewhere and you will be a Grand Master. Send me any questions you may have regarding the Steel Challenge Classification system and I will make sure they are answered for you.